Plugging an iPod containing tens of thousands of tracks into the car has become an unremarkable experience these days, but music on the move was not always taken for granted. Our first car, a 1978 Ford Fiesta, came without a radio. It also arrived without electric window-washers for that matter. In-car audio can trace its roots back to the Große Deutsche Funkausstellung (Grand German Radio Exhibition) of 1932, at which a Blaupunkt forerunner called Ideal-Werke of Berlin exhibited the Autosuper 5. This was a 10kg wireless set, built on vacuum-tube valve technology. Too big to fit in the dashboard, it instead took up 10 litres of under-bonnet volume. In place of a glove compartment were the five user-replaceable glass valves. And it cost about a third the price of a new car. We might all chuckle at the crude efforts of the day, but consider this. 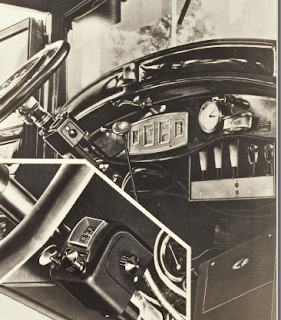 The radio came with remote controls fixed to the steering column. It only took modern transistorised car radios about 80 years to catch up with that ancient mobile wireless set, and put their controls within easy reach of the driver.